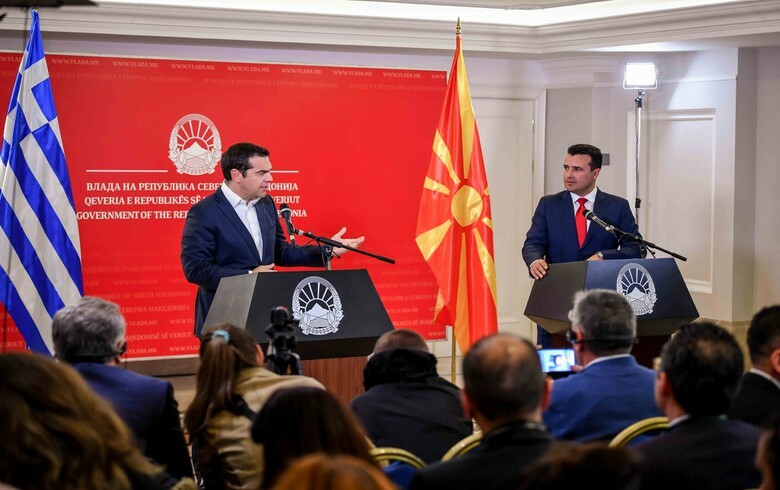 SKOPJE (North Macedonia), April 3 (SeeNews) – North Macedonia and Greece, which had resolved their name dispute, now agreed to intensify their cooperation in economy, defence, energy, transport and agriculture, North Macedonia's prime minister Zoran Zaev said. The two governments signed a memorandum of cooperation on EU issues and transport, Zaev said in a statement following a meeting with his Greek counterpart Alexis Tsipras in Skopje on Tuesday - the first official visit of a Greek prime minister since the former Yugoslav republic declared independence in 1991. “We signed an agreement to open new border crossings: Promakhoi - Majden and Markova Noga - Agios Germanos,” Zaev noted, adding that North Macedonia and Greece have also established an intergovernmental cooperation council which will hold sessions once a year. The two neighbouring countries also agreed to intensify defence cooperation in light of North Macedonia's accession to NATO. A memorandum of understanding for the development of the road and the railway links from Thessaloniki in Greece to Skopje and Tabanovce in North Macedonia was also signed. Athens had blocked Skopje’s attempts to join NATO and the EU for 27 years over the country's former name Republic of Macedonia, which according to Greece implied territorial claims on the Greek northernmost province of the same name. Zaev and Tsipras signed an agreement to change the name to Republic of North Macedonia in June. In February, NATO member states signed an accession protocol with North Macedonia after the Alliance launched formal accession talks with the country on October 18. North Macedonia was granted EU candidate status in 2015 and hopes to launch membership negotiations later this year.